Helping other parents is one of my passions. A mom, author, freelance article writer, editor, and conference speaker, I enjoy writing about various topics. 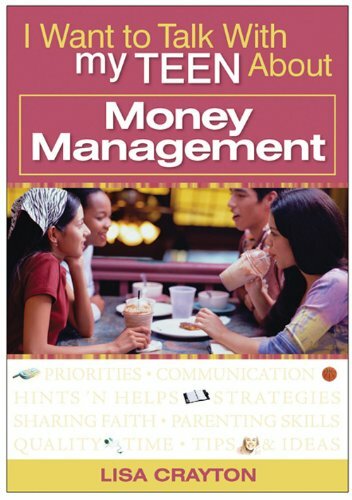 I am the author of “I Want to Teach My Teen About Money Management,” which covers important financial topics for parents to discuss with teens. My success writing for multiple markets — general and religious; U.S. and international; youth, women, parenting and professional — proves that I can effectively handle a cross-section of assignments. Specialty/niche topics, in addition to parenting, include: money matters, youth, African American issues, and spirituality. Know that I am available for original feature, filler (including book or product reviews) or column assignments that meet your current or future editorial needs. I work within your established budget for freelance submissions. Please email me to discuss your needs. Following is a listing of articles available for reprint. Editors: Please email me if you would like more information about, or a synopsis of, an article. If needed, I can provide regional exclusivity. Again, I work within your established budget for freelance submission. Synopsis: How to use journals to secure a dream job. Synopsis: A time management article with a holiday focus. Written specifically for single parents.